LOOK AT IT! LOOK! If you are a fan of the moving image, you can’t possibly have missed the frankly incredible original Blade Runner, directed by Ridley Scott. A breath-taking dystopian vision of the future, the look of the original film spawned a generation of imitators, and became an unadulterated classic whose influence is felt still today. And now, like it or loathe it, 2017 will see a second installment to the story. Blade Runner 2049 is an upcoming American neo-noir science fiction film directed by Denis Villeneuve and written by Hampton Fancher and Michael Green. 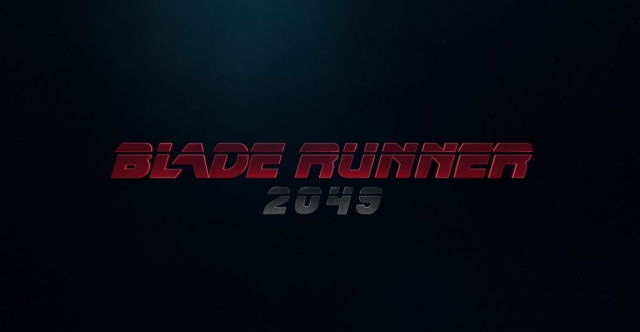 It is the sequel to Blade Runner and sees Harrison Ford reprise his role as Rick Deckard. Ryan Gosling looks to be a young bounty hunter who has taken up the role of replicant hunter. Forget all the arguments about Hollywood running out of ideas for now, because by the look of the teaser trailer released today, it looks utterly awesome.